Dr. Ren Orans founded E3 in 1989. An economist and engineer, he has focused throughout his career on the most pressing challenges facing the electricity industry. 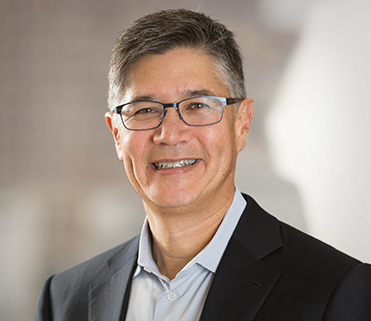 Most recently his major focus has been on advising California’s regulators and stakeholders on the most effective ways to implement the state’s clean energy and greenhouse gas mitigation policies. Ren began his career by demonstrating the potential of deploying distributed energy resources to defer infrastructure investments, saving costs and enabling the integration of renewables into the grid. During the restructuring era of the 1990s, he devised a rate-making mechanism that enabled Texas utilities to recover stranded costs while giving retail customers access to wholesale market prices. He also supported the opening of transmission markets by developing FERC-compliant tariffs for Canadian utilities and assisting the California ISO in developing tariffs and evaluation processes for transmission projects. Ren is a longtime advisor to policy makers and executives in every corner of the electricity arena: government agencies, utilities, system operators, regulators, independent power producers, energy technology companies, public interest organizations, and investors. He has also published his work widely in top scholarly journals and served as an expert witness on numerous occasions. Even after 25-plus years of analyzing the industry, Ren still finds the electricity sector fascinating. He’s particularly excited by the accelerating pace of change, which technological innovation and public policy are driving. He enjoys applying E3’s deep analytic models and years of experience to new challenges and new markets. Envisioning the Electric Utility in 2030: “Fat” or “Skinny”? What Drives Renewable Energy Development?